What’s the AVAC® Life goal? Simply put, we want to inspire you! There are many ways to live, but one that we can agree on is that a healthy lifestyle is a happy lifestyle. Let us motivate you with laughter and member transformations. Let us challenge you with new workouts, new recipes, and all kinds of helpful health and fitness tips. Most of all let us remind you that life is good, that fitness is fun, and that you can find all that you need right here at AVAC®! Almaden Valley Athletic Club® (AVAC®) is Almaden’s family-owned favorite place for swim, tennis, fitness, and community. We take pride in our commitment to our community and we cherish the lasting relationships we build with our members. Everyone is welcome to join, and we truly have programs for every person, every age. We take pride in generating your source of strength, development, and motivation for personal and family goals by providing answers. We are proud of the fact that we employ students, young adults and healthy-minded professionals from our surrounding neighborhoods. Although our facility has changed with the times, introducing new technology, new machinery, and new ideas of fitness and family fun, our mission has remained the same since our doors opened to Silicon Valley in 1976: We want to enrich your health, your workout, and your lifestyle by providing the best there is in all faculties of fitness. AVAC’s award-winning resort-style facility features luxurious amenities with Pilates, indoor and outdoor swimming, tennis and social activities as well as a new & expansive Child Care facility featuring programs for infants through school-age children. Our spacious AbsoluteFIT studio offers high intensity small group training classes for adults, as well as active gym sessions for pre-schoolers and school-age children (including youth athletic development.) 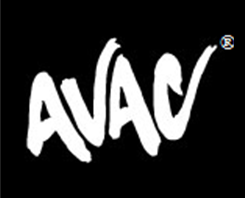 AVAC® hosts one of the largest swim schools in the United States. The 8,500-square foot Fitness Center features treadmills, stair climbers and rowers, a fully equipped studio featuring STOTT PILATES™ equipment, reformer and mat training, as well as a Functional Fitness and Stretching area. Certified instructors and personal trainers teach group classes and one-on-one training. AVAC® is Northern California’s exclusively licensed certification center for STOTT PILATES™. AVAC® Swim School offers a retractable roof teaching pool for year-round swimming lessons and a 25-yard outdoor swimming pool. Winner of the coveted USTA Club of the Year award, AVAC® hosts a year-round tennis program on its lighted championship tennis courts. AVAC® is home to one of the largest Senior Wellness program in the South Bay, offering Group exercise classes and social events. Discover the “AVAC® Difference” for yourself today!